It can be tough discerning when it’s time to have a professional roof assessment performed. 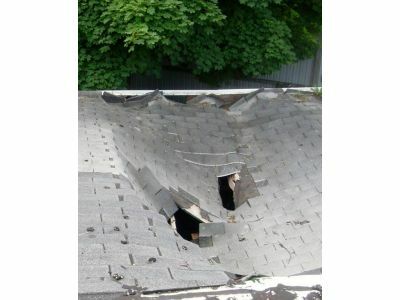 Have you noticed that your roof is looking a little worse for the wear? Are there unidentifiable spots on your shingles? Are those shingles starting to peel or lift? If you’ve answered yes to any of these questions, you may need the help of a professional roof assessor. In today’s post, we’re going to look at a few telling signs, signs that indicate that it may be time for a roof assessment. Shingles are your roof’s armor, they keep it safe from the invading forces of moisture, debris, and wildlife. If you’ve noticed that some of your shingles are peeling, curling, or – worst of all – missing, it’s essential that you perform a roof assessment. Delaying an assessment can lead to moisture buildup and rot in your building’s underlying structure. Many times, people ask, “What is this green, blue, or black spotting on my roof?” Typically, the answer is, “algae or mold.” In either case, it’s important to understand what this means: moisture has insinuated itself into your roof’s structure and is beginning to cause rot. Any rust on – or near – your roof indicates a problem. You guessed it: moisture! This rust can cause catastrophic failure of your roof’s components, whether it’s a gutter system around the perimeter or the structural supports that hold it in place. At Wharry Engineering, we aim to provide home and business owners with all of the roof inspection, assessment, and consulting services that they need to keep their building secure. If you’ve been considering a roof assessment but aren’t quite sure if it’s time yet, reach out to us today to discuss how we can help.